. استمتع بالخدمات الراقية والضيافة التي لا مثيل لها بهذا الفندق في بلو ماونتيينز. إن مرافق مخصصة لذوي الاحتياجات الخاصة, تخزين الأمتعة, واي فاي في المناطق العامة, صف السيارات, مرافق للشواء هي جزء فقط من الخدمات التي تميز Jemby Rinjah Eco Lodge عن باقي الفنادق في المدينة. استمتع بوسائل الراحة الراقية في الغرف أثناء إقامتك هنا. بعض الغرف تتضمن تلفزيون بشاشة مسطحة, حوض الاسترخاء, غرف لغير المدخنين, تدفئة, شرفة/ تراس لمساعدتك على استعادة طاقتك بعد يوم طويل. كما أن مجموعة الخدمات الواسعة الموجودة في الفندق لضمان راحتك تترك لك الكثير من الخيارات لقضاء وقتك أثناء فترة إقامتك. مهما كانت أسبابك لزيارة بلو ماونتيينز، فإن Jemby Rinjah Eco Lodge هو الخيار الأفضل لإقامة مثيرة وممتعة. مكتب الاستقبال مفتوح من الساعة 09:00 صباحًا إلى الساعة 03:00 عصرًا من الإثنين إلى الخميس، ومن الساعة 09:00 صباحًا إلى الساعة 09:00 مساءً أيام الجمعة، ومن الساعة 02:00 مساءً يوم السبت، ويغلق يوم الأحد. للنزلاء الذين يصلون يوم الأحد، سيتم إرسال كافة المعلومات الخاصة بتجميع المفاتيح على البريد الإلكتروني. ويجب على النزلاء الذين سيصلون خارج الساعات المذكورة الاتصال بالعقار مباشرةً قبل وصولهم حتى يتسنى إجراء ترتيبات بديلة. لا يُسمح للنزلاء الذين تقل أعمارهم عن 18 عامًا الإقامة في كابينة ديلوكس؛ لدواعٍ أمنية. سيتم نقل النزلاء الذين لديهم أطفال تحت سن الثامنة عشر إلى غرف أخرى بدون سبا إذا كانت الغرف متوفرة. Fantastic accommodation, beautiful location and lovely, helpful staff. Highly recommended. A peaceful gem! I really enjoyed my stay. Staff were very friendly and helpful. The cabin (de luxe cabin) was good - downstairs a bit basic (don't expect a full kitchen, more a kitchenette), upstairs very good. Heating with stove - it works very well, but downstairs is quite a bit cooler than upstairs. A bit tricky to get right, but in the end no problem. Excellent location. Spa bath is good for one person, but a bit odd because you have to sit in it, can't stretch out. Worked for me by myself, but does not fit a couple. Great location for hiking in the Grose Valley. Super quiet and almost no mobile reception (which I liked). We stayed for 2 nights, the accommodation was comfortable and peaceful. would definitely stay there again. 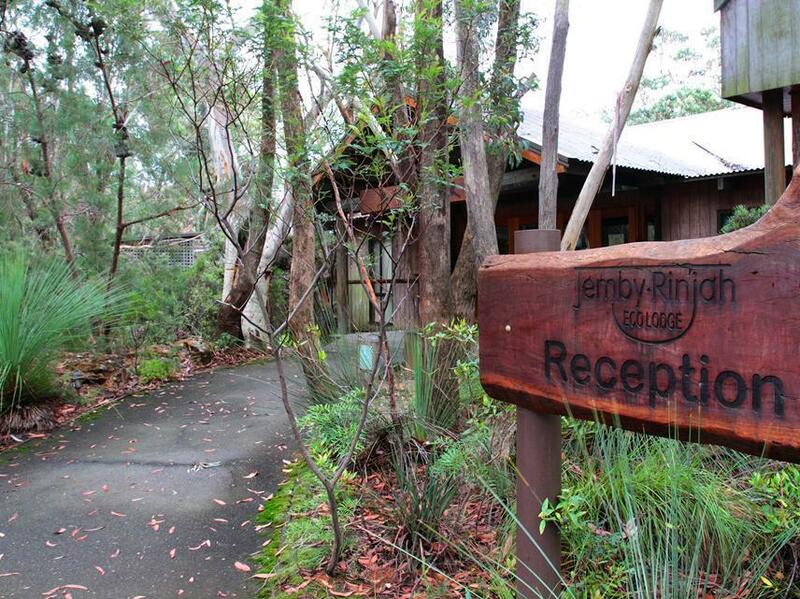 Always enjoy our stays at Jemby Rinjah - this time we booked second and third cabins for our extended family and we all enjoyed the stay. ok. staff not always on site. tv didn't work. wood was not dry enough. This is my first eco-lodge but what a great experience it has been! 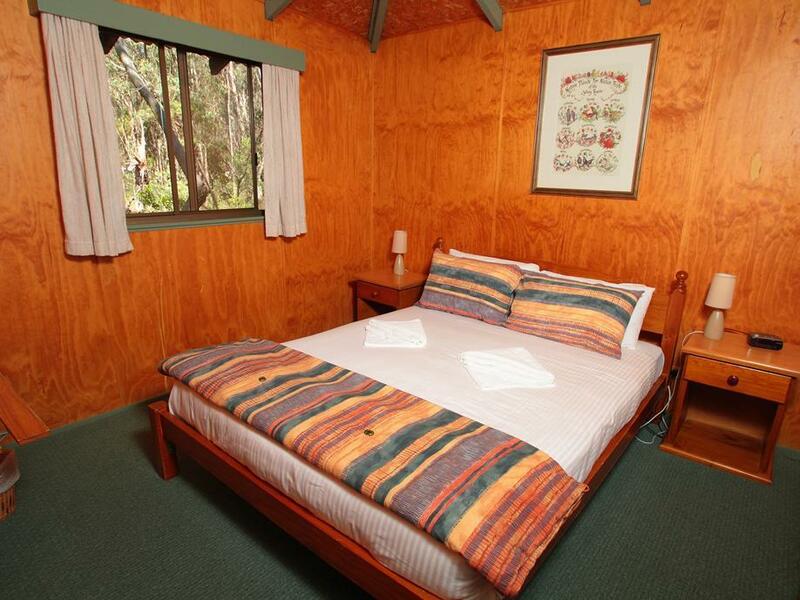 Loved how the cabins are surrounded by native trees and the floor to ceiling windows gave lovely views of the trees. The self-composting toilet was really impressive too! The staff were really lovely and friendly. Surrounding bush was beautiful. 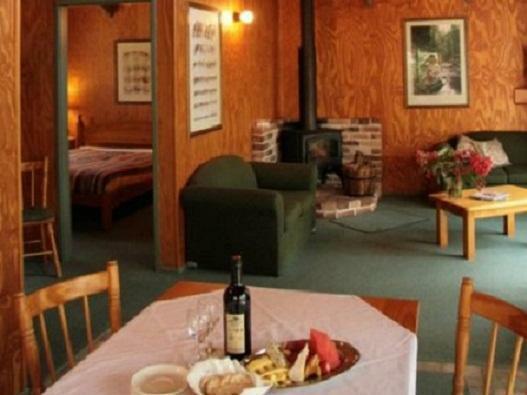 The lodge was close to walking tracks and blackheath The cabin was basic but clean and comfortable. No flush environmentally friendly toilet in the house! it was a special experience for us as this is our first time staying at eco lodge during the winter. 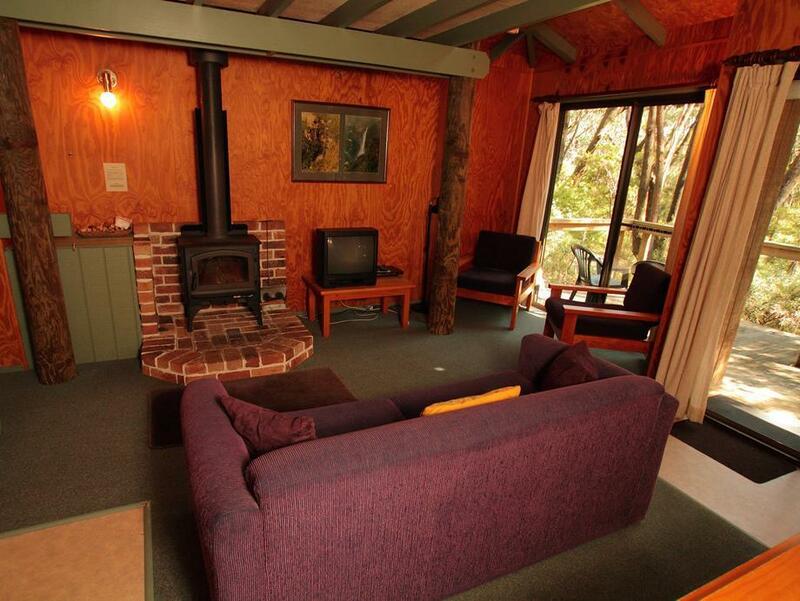 the weather was cold and the room need to be heated up by fireplace. a old and real fireplace burning timber! the toilet was a special one! a must try. 2 same size bedroom but not able to lock. 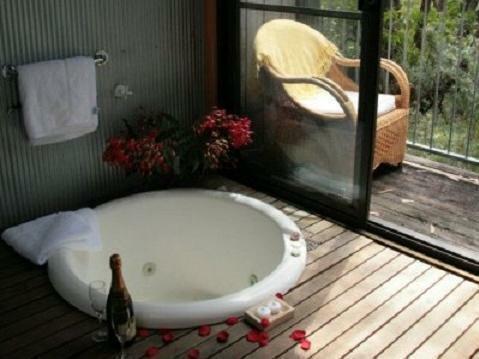 lack of privacy for couples. well equipped kitchen. friendly staff who willing to offer help. It was paradise as soon as we drove in the driveway, Lovely bush surroundings, the staff were more than happy to help out with any inquiries and were very accommodating. I would defiantly be going back, If you love the bush surrounds there is nothing better than this place in the blue mountains.